In one of the most massive recalls in history, car manufacturers from Acura to Mercedes to Volkswagen have had to inform approximately 34 million car buyers about a recall of automobiles that contain faulty airbags—a defect that has been implicated in more than 100 severe injuries and 10 deaths in the U.S. The airbags contain a flawed inflator that can shoot metal pieces like shrapnel into passengers when the devices inflate after an accident. Japanese auto parts company Takata manufactured the airbags, and according to reports from The New York Times, may have known about the problem years before it was first announced in 2013. The article said that Takata even conducted secret tests to verify the problem. When the results came back confirming the defect, executives tossed the data and doctored the internal report. Once the defects became apparent, the National Highway and Transportation Safety Administration demanded that car manufacturers recall affected models and replace the faulty parts. Letters were sent to millions of car buyers who, when they phoned their dealers to schedule the repair, were told that no new parts were available because Takata manufacturing was not keeping up with the demand. In fact, CNN recently reported that delivery of new parts will be lagging behind until 2019. Consequently, most car owners continue to drive their automobiles with the defective parts. Consumers have no recourse other than waiting for dealers to replace the faulty airbags. What will happen if, as some experts believe, Takata cannot survive the scandal intact and is forced to declare bankruptcy? Or if the defect continues to kill more drivers and passengers? 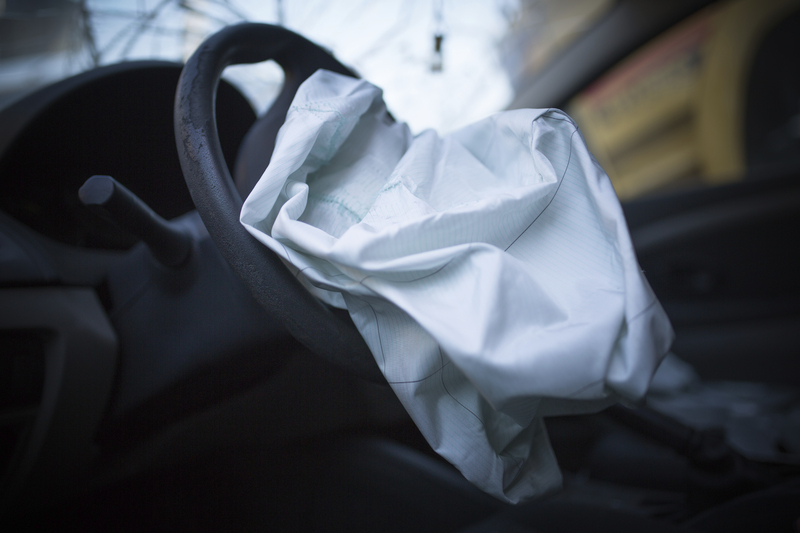 Read a timeline of the Takata airbag scandal. Should U.S. car manufacturers also be held liable for the faulty parts they purchased from sub-contractor Takata? What, if anything, can Takata do to save its image? What are the ethical implications of the organizations involved in this debacle, including Takata, auto manufacturers, and government oversight agencies? This entry was posted in 3. News You Can Use on August 2, 2016 by bizcombuzz.